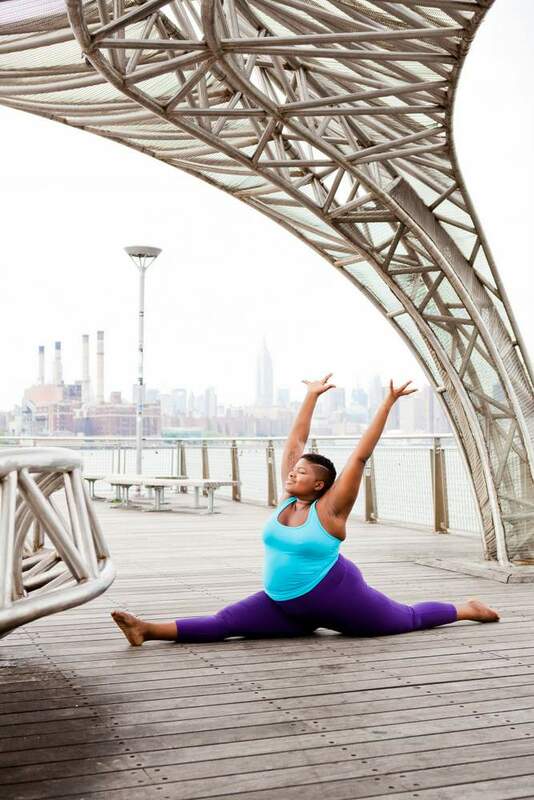 Plus size yogi, Jessamyn Stanley has recently launched her book, “Every Body Yoga” and we interview her about her process, plus size yoga, and why she started this journey! If the recent plus size activewear campaigns from brands like Lane Bryant and Nike have taught us anything, there’s still a lot of shaming that people attach to the experience of simply moving one’s body… If you don’t work out, you’re lazy and if you do, there’s always someone challenging what your body can do. 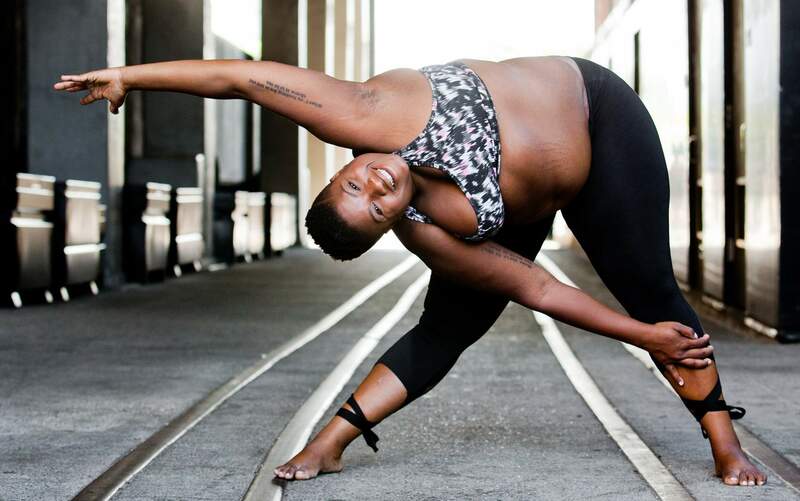 That’s all the more reason why Jessamyn Stanley’s online yoga practice has been such a huge inspiration for people of all sizes. Stanley has been unapologetic about her body and her right to take up space in a movement that’s normally reserved for those who look a certain way. 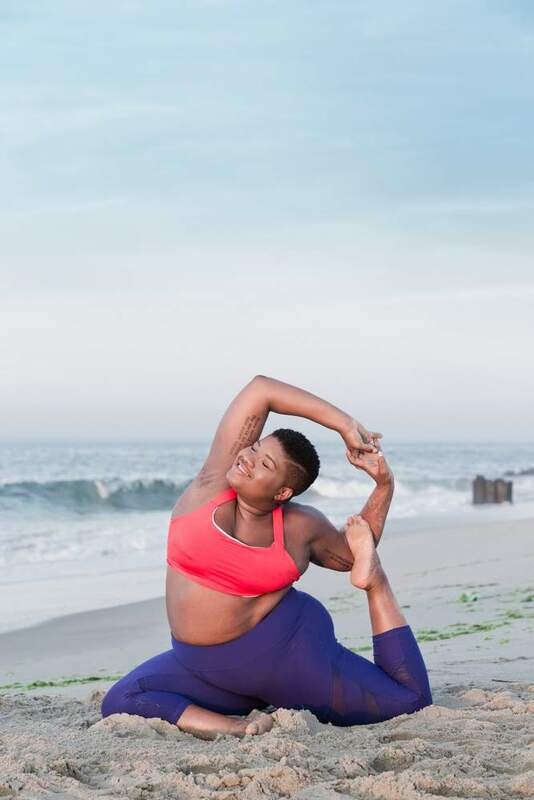 Earlier this month, she released her very first book, Every Body Yoga: Let Go of Fear, Get On The Mat, Love Your Body and embarked on an accompanying nationwide book tour. I had a chance to speak with her about her journey and if it was possible to be anymore inspired, meeting the person behind the pose made her story all the more impactful. Stanley first started practicing yoga while in graduate school after a friend suggested she try it. She had tried it once before while in high school and decided it wasn’t for her. She describes it at that time as “dreadful” but when the suggestion came up again during graduate school, something was different this time. 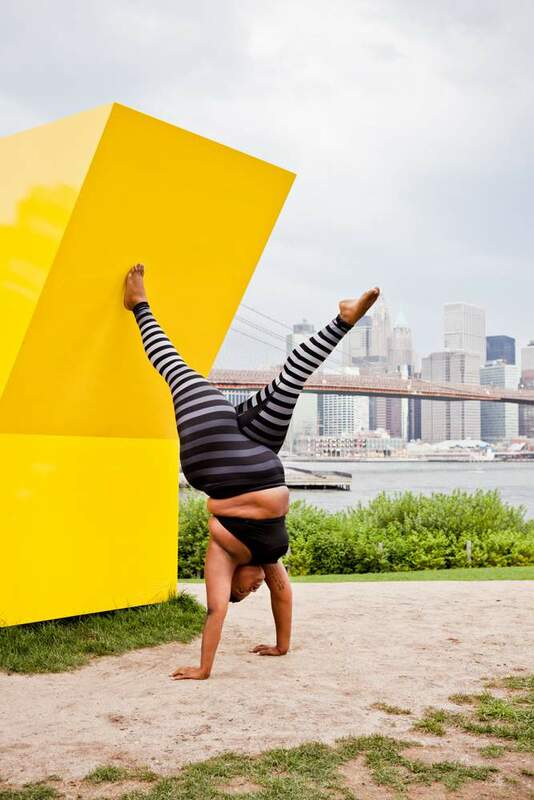 Of course, fat people can do yoga. Just like they can run a marathon and win gold medals at the Olympics. There’s such a deep societal stigma against fat bodies that Stanley’s practice and the images she took to capture it really challenged folks to examine these long-held beliefs about what fat bodies are capable of doing. For Stanley, her practice has always been about more than her body. To her, it’s not her body at all that has made her amass a growing Instagram following of nearly 300K. Although Stanley says she never aspired to anything that is happening now, she did have a goal to publish a book before she turned 30. Every Body Yoga was released this April and Stanley turns 30 in June. This is no coincidence. She didn’t know how it would happen but she knew it would. Through her struggles, she remained persistent. She wasn’t afraid of her goals even though she didn’t always know how they would happen, she knew they would come to fruition. It’s this authentic perseverance that makes Stanley’s journey so relatable. In the book, Stanley describes in detail how she started practicing yoga. She says the goal is that someone could read the book and go out and immediately start doing yoga. She doesn’t shy away from discussing her hardships in the book either; in fact, that’s all part of the journey. As I listen to Stanley describe this process, I find myself inspired and less intimidated to try yoga again in a way I wasn’t expecting. It sounds a lot like therapy. You get out of it what you put into it. It’s not about executing the poses perfectly; it’s about so much more. So who else feels ready to give yoga a try?! I know I do. You can buy Jessamyn’s book, “Every Body Yoga” NOW at Amazon.com! Torrid Model, Maria Gimena Surprises Shauna Arocho with a Surprise Shopping Spree! Ohhhhhhhh i have not seen yet! The book is so good!